The sun has always represented fertility to every people, the life generating principle, and often eternity too, as it is born again every day, always unchanged. 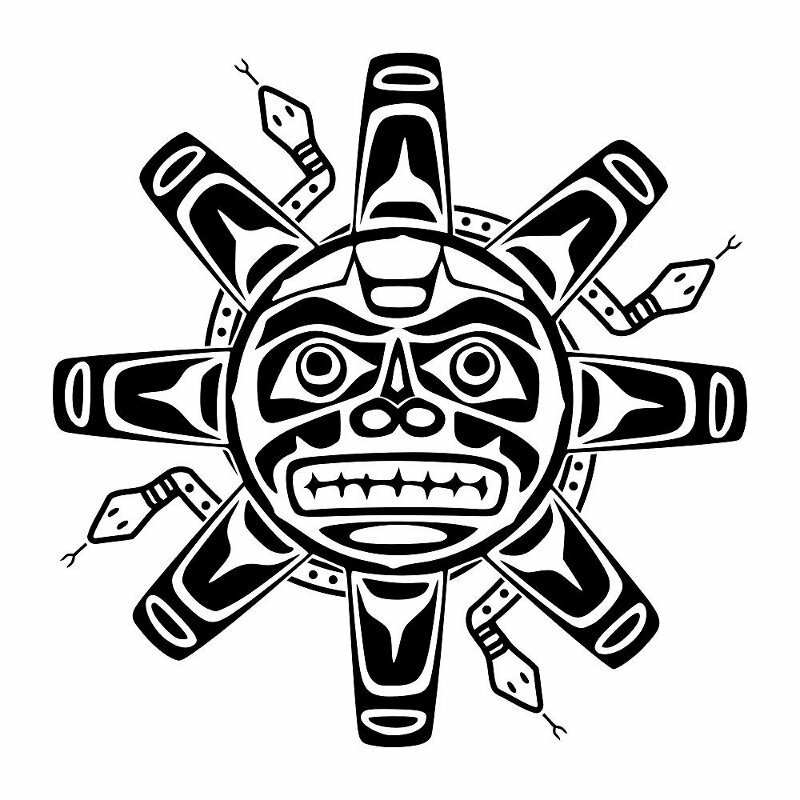 Nikkio sent us a Haida styled sun asking us to make it more particular. 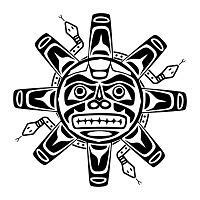 We thought of adding it the four snakes symbolizing the four spirits of the winds (East, West,North and South) because snakes too are associated with fertility. Its hability of changing its skin also symbolizes being able to renew, passing to a higher evolution level.